Da Capo Lifelong Books, 9780738205298, 256pp. William Bridges' lifelong work has been devoted to a deep understanding of transitions and to helping others through them. When his own wife of thirty-five years died of cancer, however, he was thrown head-first into the kind of painful and confusing abyss he had known before only in theory. 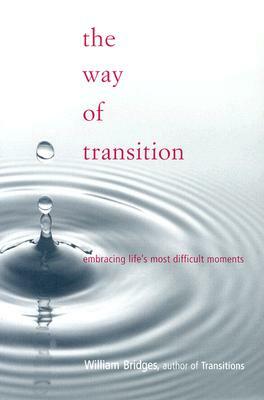 An honest account of being in transition, this uncommonly wise and moving book is a richly textured map of the personal, professional, and emotional transformations that grow out of tragedy and crisis. Demonstrating how disillusionment, sorrow, or confusion can blossom into a time of incredible creativity and contentment, Bridges highlights the profound significance and value of endings in our lives. Formerly a professor of English, William Bridges made a shift to the field of transitional management in the mid-1970s; out of his workshops has grown a long career of consulting, lecturing, and helping others through transitions. He lives with his wife in Mill Valley, California.